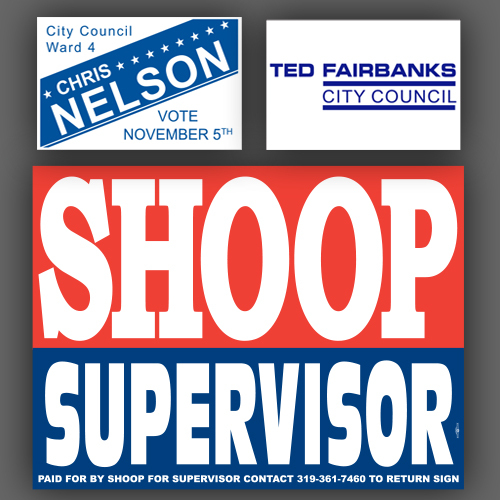 Examples of political signage are car magnets, bumper stickers, yard signs, small-scale stickers, or vinyl banners. We can help make these tools to help rally support and spread the opinion. Some can sway audiences to vote yes or no, to promote a candidate or propose a general public decision. Our samples or templates will help guide you to what message needs to be seen.